Beijing has voiced “strong opposition” to a US Department of Defense (DoD) report which accused China's military of being a threat and lacking transparency. It also urged the US to abandon its Cold War mentality and stop jeopardizing bilateral relations. The USreport, published on Friday, criticized the actions of China's military in the disputed South China Sea – particularly the rapid construction of artificial islands in the strategic waters. “Most analysts outside China believe that China is attempting to change facts on the ground by improving its defense infrastructure in the South China Sea,” the US report said. According to the Pentagon, the islands total 2,000 acres (800 hectares), with 75 percent built over the past five months. 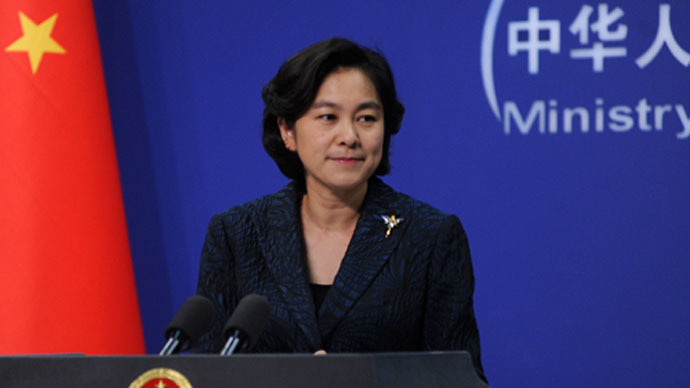 But a Sunday statement from Hua Chunying, China's Foreign Ministry spokesperson, hit back at Washington's claims. “By hyping up 'China's military threat and the lack of transparency in military strength,' the report questions China's normal defense building and strategic intention, and makes inappropriate remarks on China's justified actions of safeguarding territorial sovereignty and security interests in the South China Sea,” the statement reads. China began reclaiming land in the South China Sea in 2014. Beijing claims nearly the entire area as its own, which is rich in natural resources and is a main trade route. However, the waters are also claimed by other countries in the region – Vietnam, Indonesia, Malaysia, Brunei and the Philippines – which are trying to bolster their position there. On Monday, the Philippines' military chief flew to an island occupied by his country in the South China Sea, vowing to defend the territory against aggression. It followed protests in the Philippines which called on China to withdraw its ships from the Scarborough Shoal in the South China Sea. The two nations have been locked in a stand-off at the shoal since April 8, with both sides accusing each other of intruding into territorial waters. The report, which cost the DoD approximately $92,000, also focused on China's development and testing of missile defense and its space capabilities.